Current representative: The current representative for the 58th District is Rep. Eric Leutheuser (R-Hillsdale). The district covers Branch County and Hillsdale County. According to the House Republicans, he is a member of the House Ways & Means Committee. 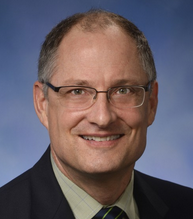 He was first elected to the Michigan House in 2013. A map of the 58th District is available here. Rep. Leutheuser raises money through a candidate committee, Eric Leutheuser for State Representative, and a leadership PAC, The 1837 Fund. The leadership PAC launched in August 2017. He's also been linked to an administrative account, Committee for a Stronger Michigan, which doesn't disclose its donors. Leutheuser has said the administrative account is no longer active.